Today we would be informing you about Telenor Internet Packages including Telenor 2G Internet Packages, Telenor 3G Internet Packages & Telenor 4G Internet Packages overall the usage types be it daily, weekly, monthly, 3-Day & Social Data Bucket, Prepaid & Postpay. 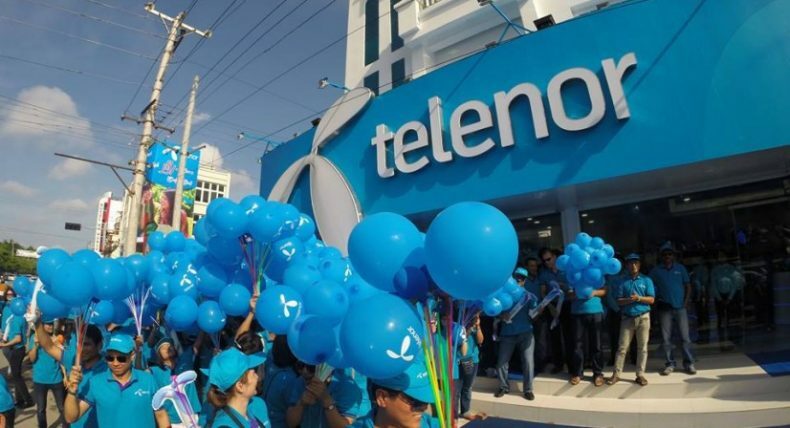 Telenor is one of the top network providers in Pakistan that is providing mobile internet services over all the three 2G, 3G and 4G bandwidths. Telenor Group is an international telecommunications company that is headquartered in Norway. As of fourth quarter of last year, the company claims over 39.428 million mobile subscriptions and has about 6000 employees. Previously, we talked about Telenor Call Packages, Telenor 3g, 4g device Packages, and Telenor 3G/4G Internet Settings. Let’s take a look at the 2G, 3G & 4G Telenor internet packages. These details include 2G, 3G & 4G Telenor internet packages and bundles compared for both Prepaid and Postpay Internet Packages, daily, weekly, monthly and the rest. The daily 2G, 3G & 4G Telenor Internet packages/bundles are given below. Both Djuice and Talkshawk customers can get this offer. Default rate, without subscribing to bundles, is charged at Rs12/MB on 3G & 4G while that on 2G is Rs21.5/MB. After PKR 60 of daily charging on default rate, further usage for the rest of the day is completely free (Fair Usage Policy of 350MB). The 3-Day 2G, 3G & 4G Telenor Internet package/bundle is given below. The weekly 2G, 3G & 4G Telenor Internet packages/bundles are given below. The monthly 2G, 3G & 4G Telenor Internet packages/bundles are given below. All Telenor Prepaid customers can get this offer. Telenor is offering one monthly 2G, 3G & 4G Internet package/bundle. Customer will be charged if they access third party links from Facebook, Twitter & WhatsApp. A Fair Usage Policy of 100 MBs applies for this bundle. Besides the ordinary Mobile 2G, 3G & 4G Internet Packages, Telenor is also marketing its internet services through a special data sim. The data sim can be used in phones as well and also in special internet devices. Given below are some internet intensive packages. That was pretty much it from the Telenor Prepaid section. Up next, lets take a look at Telenor Postpaid Internet Packages/Bundles. Internet Bundles are available on all Postpaid price plans including Smart plans. Default rate, without subscribing to bundles, will be charged at Rs12/MB on 3G & 4G and Rs21.5/MB on 2G. With package, all bundles will charge Rs. 1.024/MB. That was it. If you think we missed something or if you want us to do research on something particular then mention in comments below.